Soy porteña. Well, not exactly – I am from Oklahoma. But what I am is a milonguera and my Argentina is late nights that spill into early mornings, the beauty of the tango embrace and lots and lots of Malbec. Buenos Aires is full of tango. 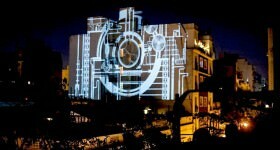 Most tourists visiting the city only ever have access to smallest section, the part the city creates for them. The dancers in La Boca, the tango shows hawked by tour guides and hotel concierges. But Buenos Aires IS tango… there is so much more. And it’s way more complicated than it looks on stage. The dance seems very basic at its essence, but in reality it is one of those frustrating skills were you realize that the more you know, the more you need to know. However, I am not just talking about the dance, I am talking about culture of tango – the rules, the codes, the politics, the drama. Tango is not a hobby, it is a lifestyle. 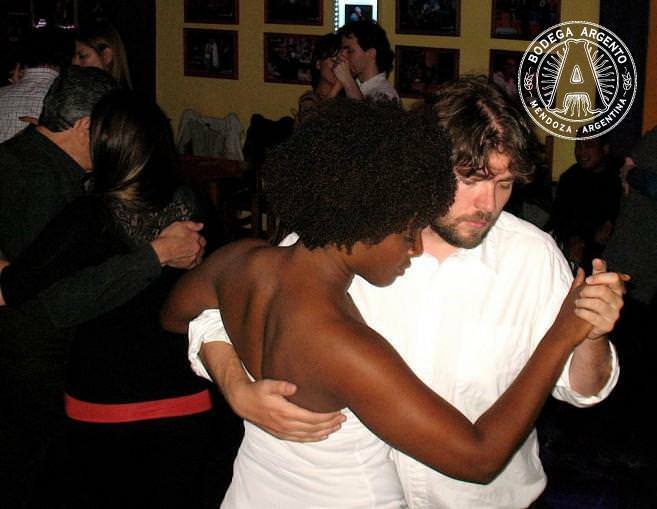 The milonga is a very special thing. 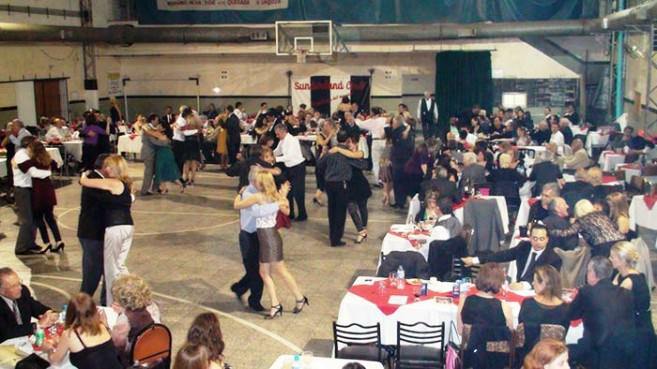 The simple description is an organized event where people can dance tango. 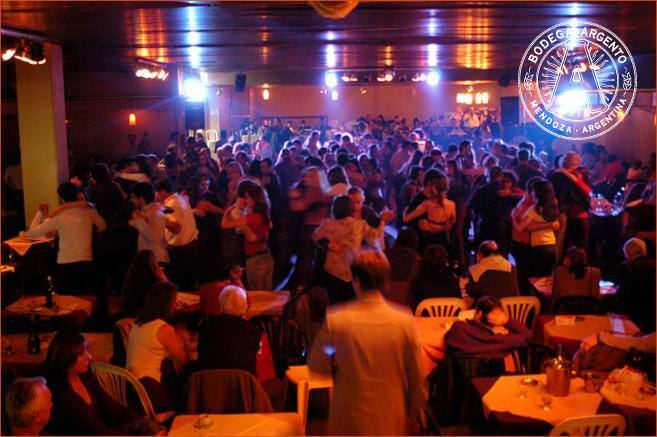 The word milonga also is a type of tango music and a style of dance that is performed to that music. So in essence you could go to a milonga and dance milonga to a milonga. But I digress, and that is a topic for another conversation. 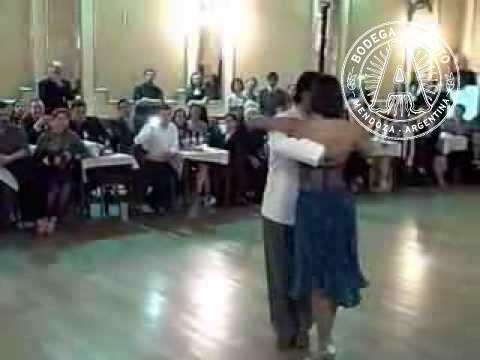 I want to talk about the milonga – the event and who’s in it. 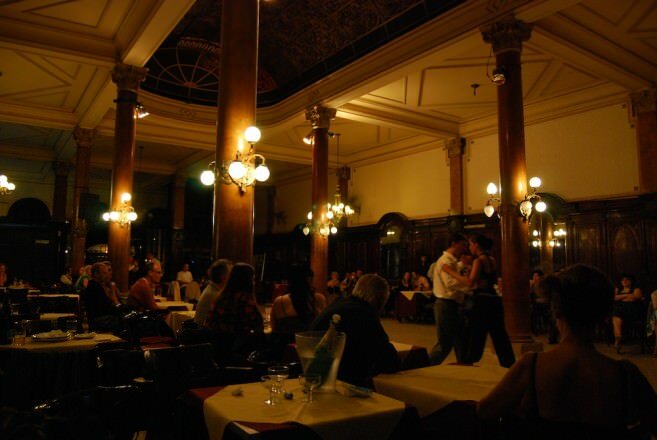 On any night in Buenos Aires you can find a milonga filled with people sitting around the dance floor, drinking their wine or champagne and watching, and being watched. But not everyone in the milonga is the same. Oh no, that would not be tango. Everyone has a role to play and there are definite hierarchies in place. 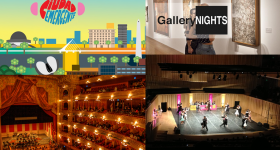 There are maestros that travel and teach around the world, there are tangureros that perform on stage and for your tourist pleasure in La Boca and San Telmo, there are the organizers that provide spaces for dancing, there are DJ’s that keep the dance floor moving, there are live orchestras and tango singers. There are the tango “sharks” that prey on tourists in the milongas. There are the old milongueros who were probably one of the above in their youth, but now they come to the milongas, not because they want to dance, but because it is what they have always done. Finally there are people like me: milongueros. The people that go to milongas, we are not professional dancers, we have “real jobs” and we love tango. Many of us are not from Argentina. We are from the all over the world. 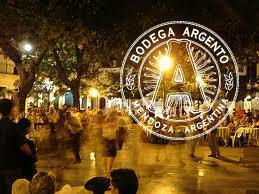 And if we have traveled all the way to Buenos Aires we are in the middle of a beautiful love affair with Tango. 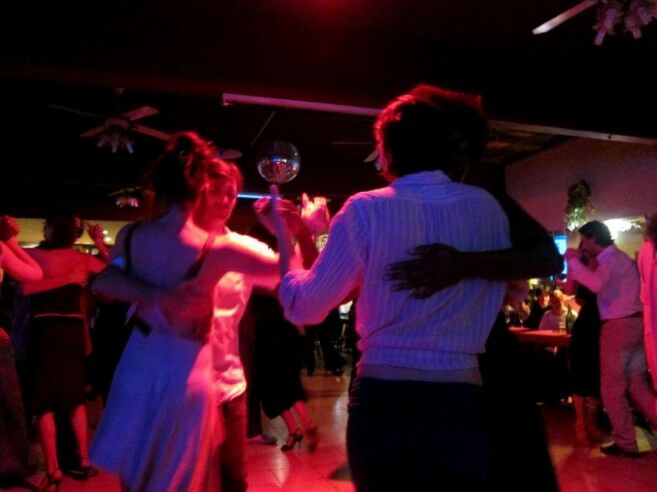 If you want to take a quick trip into this world and visit a milonga in Buenos Aires, I have some suggestions for you. But remember tango is a late night sport. Most milongas don’t really get going until after 12 midnight. So take a nap and get ready to stay out late. 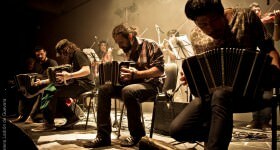 Why you should go: Milonga Parakultural is a good general milonga. It has a little bit of everything. It has been around for over 15 years and everyone goes there. You will see a good mix of ages and levels of dancers. They have a performance or live music almost every night. Pro tip: Look for me and come say hello! I am there at least 2 times a week. Also stay a little while after the performance when the floor opens up and the serious dancers get on the floor. Milonga Parakultural at Salon Canning; photo by Horacio Gabin. Why you should go: A glimpse inside what formal milongas were like. Single men and women sit separately and only ask people to dance using the cabeceo (a system of asking for and accepting dances using eye contact). Pro tip: Let them know if you are not dancing so you can sit with your friends and see if you can spot the cabeceo happening around you. Why you should go: Orchestra Tipica El Afronte performs live every week (they are really good) and it is a really cool space. Very relaxed atmosphere. Pro tip: Write to them on Facebook to make a reservation for a clear view of the orchestra. 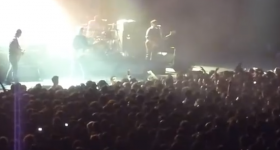 They are worth watching as well as listening too. Photo courtesy of Maldita Milonga. When to arrive: Around 1:30am if you want to sit down. 3am if you don’t mind standing by the bar. Why you should go: If you want to be part of the “scene” and see the best up-and-coming dancers this is the place to go. They go to see and be seen. A young crowd the keeps the environment and the dancing high energy. Pro tip: The milonga is held upstairs. If you go on Thursdays there is salsa and bachata happening on the downstairs dance floor. 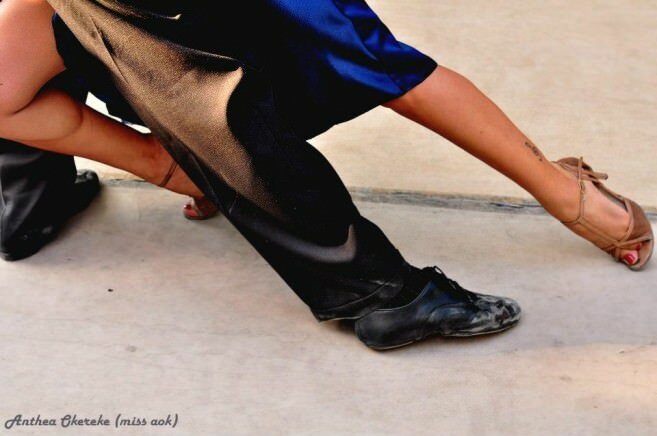 Photo courtesy of Que Siga La Milonga. When to go: They have matinee milongas (starting at 2 or 3pm) every day of the week except Tuesdays and evening milongas (10pm) on Saturdays. 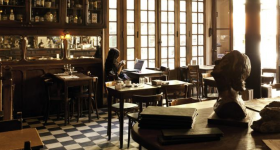 Why you should go: Located inside a famous confitería (pastry shop) in the heart of downtown Buenos Aires, since 1912 Confitería Ideal is worth going just for the beautiful architecture. 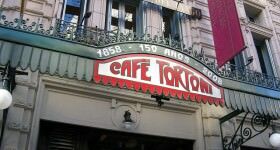 Many famous Argentine politicians and celebrities have dined there. Pro tip: It’s a great place for merienda while you watch the dancers. Confitería Ideal; photo by Kyle Smith. When things get good: Around 3:30 or 4am the dance floor is at its max and everyone has arrived. 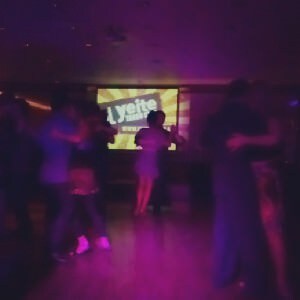 Why you should go: La Viruta has the feel of a dance club that just happens to play tango music. It is something like the after party of tango – EVERYONE goes here when the regular milongas end but they don’t want to stop dancing. Pro tip: Ask the waiter to seat you or expect to be moved from your seat later. Also on Friday and Saturday after 4am they serve “desayuno” (medialunas and coffee). Don’t wait too late to order on busy nights; they have been known to sell out. All the tango dancers agree they are some of the best medialunas in the city. Photo courtesy of La Viruta. When to arrive: Go find a good spot to sit when the market closes. When things get good: Most dancers arrive around sundown. 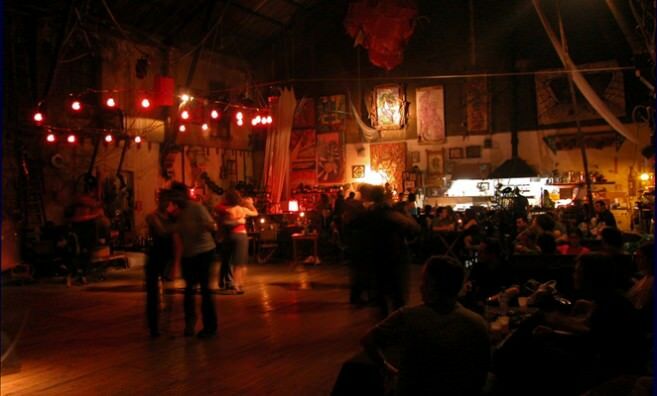 Why you should go: This milonga is located in the middle of the San Telmo market. It is very causal and relaxed and happens every Sunday, canceled only if it rains. It is very relaxed and you definitely won’t be the only tourist taking photos. Pro tip: Bring bug spray… the mosquitos come out after dark just like the tango dancers. 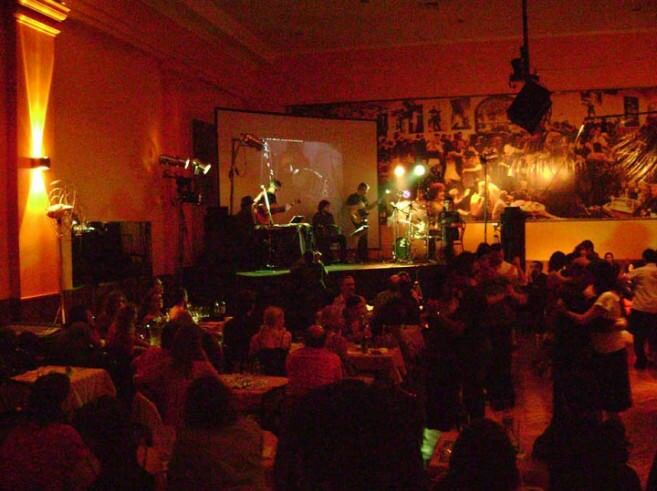 La Milonga del Indio, San Telmo. When to arrive: Go early around 10pm and have dinner. When things get good: Most dancers arrive between 11pm and 12 midnight. 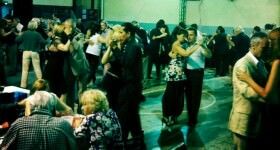 Why you should go: Sunderland is a classic “milonga del barrio”. You will see whole families sitting at the tables together – from grandparents all the way to children still being nursed. This is how milongas were when they were a family affair… Fathers dancing with daughters. Pro tip: Make a reservation and plan ahead as it is outside of the city center. 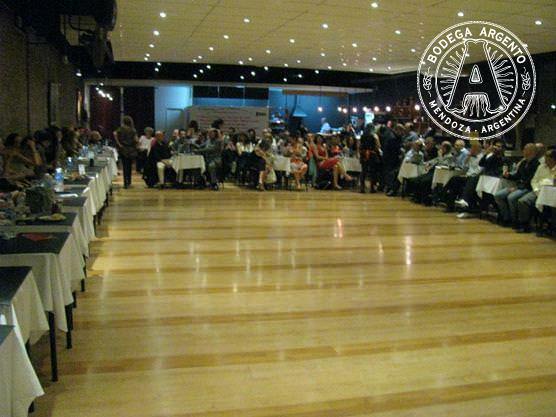 Milonga Malena Sunderland Club; photo courtesy of 2xTango.com. When to arrive: Before 11pm. When things get good: Around midnight. Pro tip: Make a reservation and dress to impress. La Milonga de Los Zucca. When to go: Any day of the week, but Wednesdays and Saturdays are the most popular. 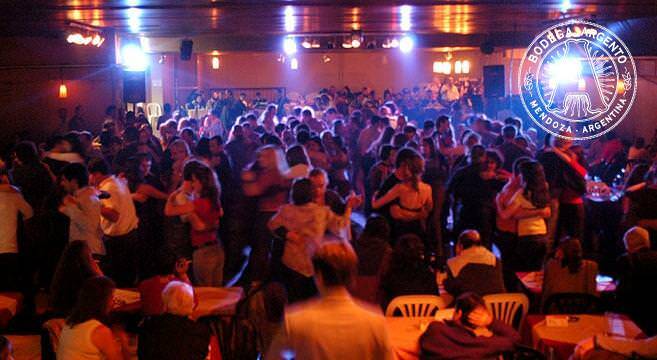 When to arrive: The milonga starts at 11pm. When things get good: Lots of people stay after the class to practice what they have learned. Why you should go: La Catedral is an institution. 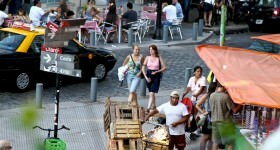 It is definitely one the most unique spaces in Buenos Aires and has a very relaxed feel. You won’t see a lot of top dancers there because the floor is not the best but this is what makes it a comfortable space for beginners to give it a try. They have classes for beginners everyday starting between 6 and 7pm. Contact them for details. Pro tip: Dress casually; the atmosphere is something like a dive bar. Photo courtesy of La Catedral Club. 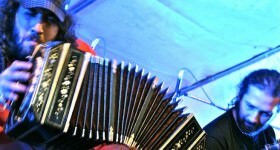 http://bit.ly/tangotours Originally from the United States, Jamila came to Buenos Aires to follow her love of tango, steak and red wine (not always in that order). 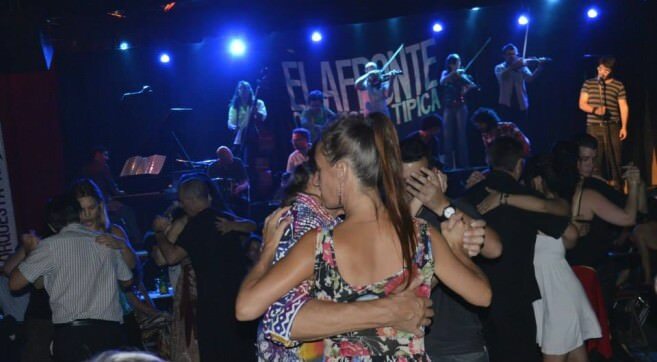 She loves introducing people to the secret world of tango and the complexities that make up the scene here in Buenos Aires. 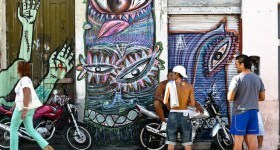 After two years of living a milonguera lifestyle she now feels ready to explore a different side of Buenos Aires - the daytime. Can a minor get into the milongas? do they ask for ids?